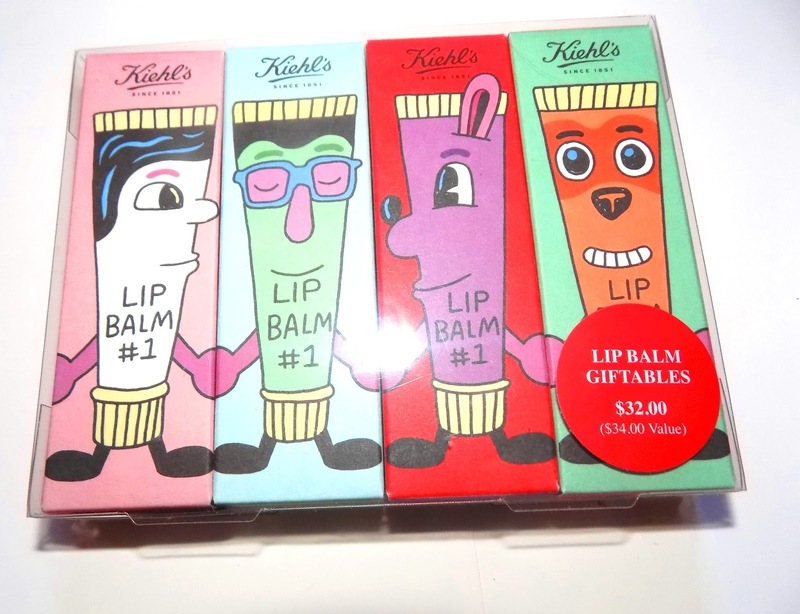 A gift of Kiehl's is always a good one and this year they've teamed with Brooklyn based artist Jeremyville to decorate their packaging. Another good thing at Kiehl's? The lip balm. 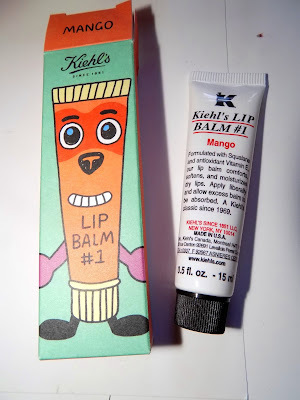 If you haven't tried it, this is a thick, hydrating balm where a little is all you need. There's some nice flavors too . 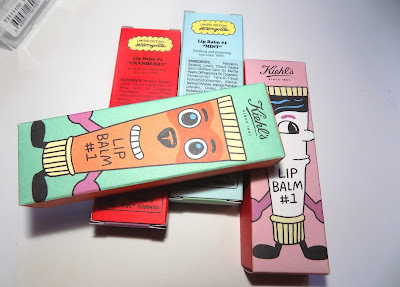 Kiehl's Lip Balm Giftables is $ 32 at www.kiehls.com and wherever Kiehl's is sold. 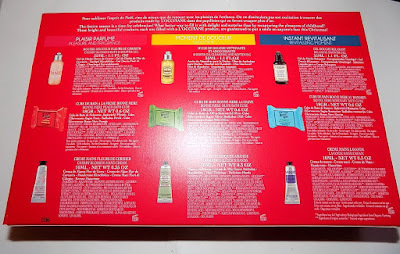 We're getting a look at what's new next year from Maybelline. 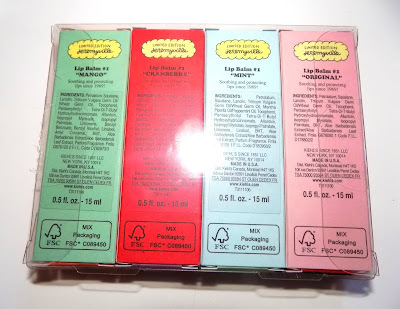 There's a lot of new that includes more Baby Lips ( in a crayon) , lip and eye palettes and this new face color quad. 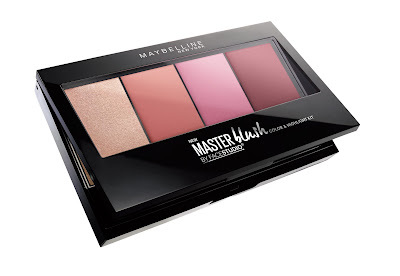 Maybelline New York FaceStudio Master Blush Color & Highlight Kit is the brand's first all in one palette for highlight/blush and has four shades to mix , layer and blend . There are three blush colors and one highlight shade. It looks really pretty, right ? Available for $ 12.99 sugg. retail on January 2017. Discounts on beauty are rare, making Bluemercury's annual Holiday Shopping Party a must shop. 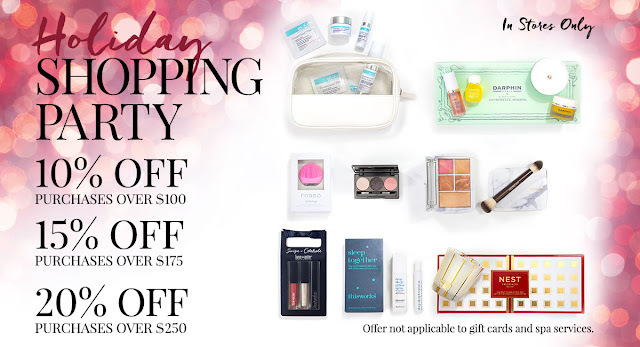 Shoppers can receive 10% off over $100 purchase , 15% off $ 175 and 20% off $ 250. 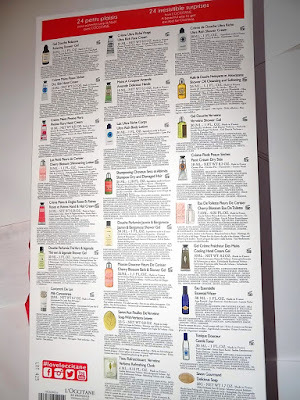 Brands rarely seen discounted are on sale including La Mer, Revive, Oribe, Chanel, and Jo Malone. 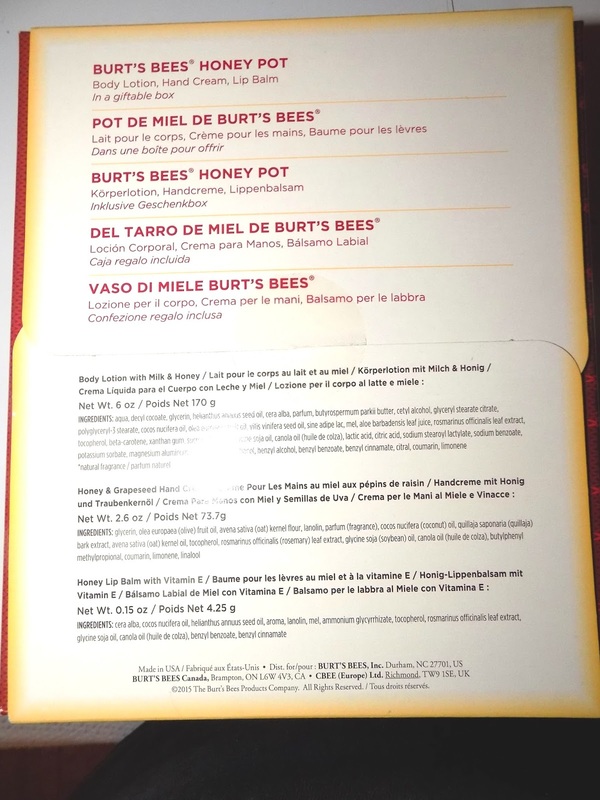 Shoppers can nibble on snacks and have a cocktail while shopping and if you spend $ 175 you'll receive a free deluxe gift bag. Just in time for Holiday Chanel is releasing the Ombres Lamees De Chanel eyeshadow palette inspired by braids, tweeds , lame and more. 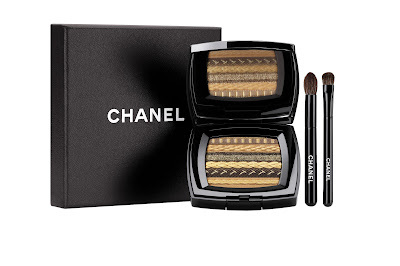 Per Chanel "The Ombres Lamees De Chanel palette unveils a harmony of four eyeshadow shades requiring a goldsmith’s touch. Embossed and then covered with golden pearly particles, the patterns recreate a fabric from the Ready-to-Wear collection and form a precious textured surface slipped into an exclusive case, accompanied by two brushes "
Availble exclusively at Chanel.com and Chanel boutiques on Nov. 28th for $105.00. I've gone back to Matrix products in a big way after a few years absence. 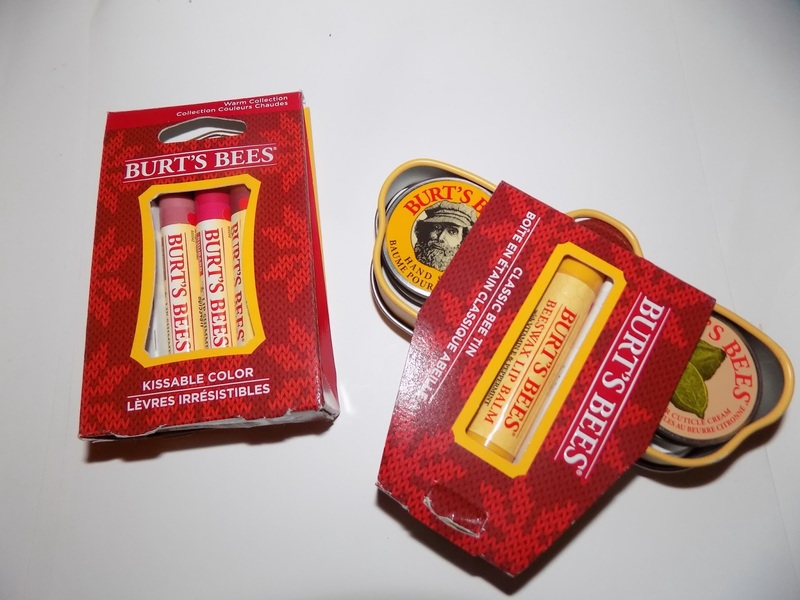 Their Moisture Me Rich duo and leave in is that good and all I've been using for awhile. Of course since I love to try anything new , I took a look at the new R.A.W line as well. There are three formulas and Nourish is for dry , dull hair. My hair is slightly dry although not dull but it does need plenty of moisture. R.A.W is silicon, paraben and sulfate free and they list the % ( 71-90) natural origin each is on the bottles. 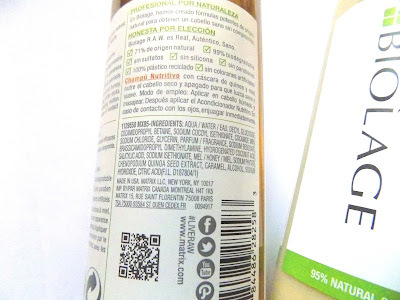 The formula for Nourish shampoo has quinoa husk and honey while the conditioner has coconut oil and kaolin clay. 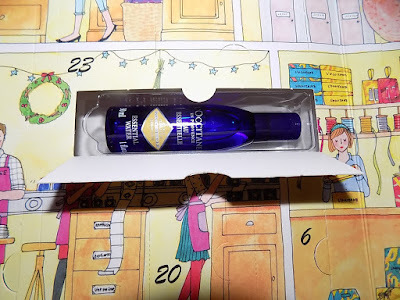 It's a low lather shampoo that gets hair very clean without making it feel stripped.The conditioner is medium hydrating, it does a nice job but is not quite as moisturizing as I usually use/need. After use my hair was very soft , light ( I still used my usual Matrix leave in), with plenty of movement and shine. It didn't add any volume or extra body but was more smoothing and kept away any frizz. My hair (heat) styled well too. I have to say too, that I think the packaging on these is cute, like a smoothie bottle . 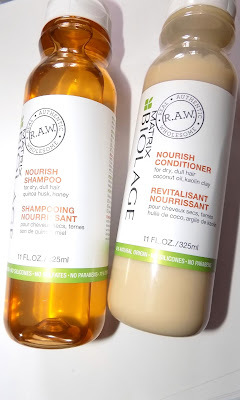 Biolage R.A.W Nourish Shampoo & Conditioner is available at Ulta and wherever Biolage/Matrix is sold. This year's Black Friday one day only from MAC is a good one. They are doing a deep purple Vamplify lip shade, Black Plum . Vamplify is one of my favorite MAC lip formulas and this shade is gorg. It will be sold in a kit with a matching Pro Longwear Lip Pencil in Bespoken For and Rebeleyes Gel Liner in Top/Bottom, deep black. The MAC Black Plum Friday set is $ 35 and online at MAC only on November 24th. Every year I feature some of the gifts sets from Burt's Bees. 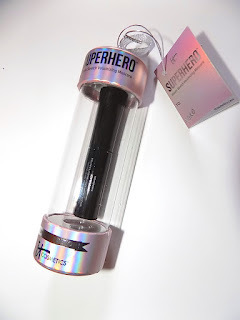 They are nicely packaged and filled with products ( usually full size) many giftees would love and can use , they are a great price/value and they can be picked up easily at drugstores, Target etc. There are larger sets and smaller ones , all can be gifted as is, but some , especially the lip sets, lend themselves to being broke up and tucked in a stocking or gift bag. There are many more sets available. 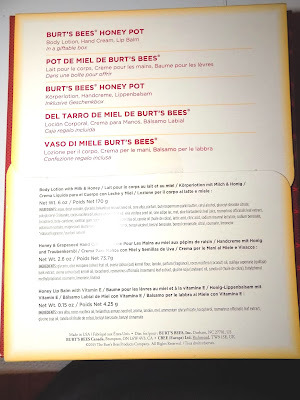 Check www.burtsbees.com/ and in discount and drugstores. This new charm from Chamilia is not only perfect for animal lovers but also gives back. "As part of its “Give With All Your Heart” program, Chamilia (a Swarovski company) is partnering with Humane Society International (HSI), one of the only international animal protection organizations in the world working to protect all animals—including animals in laboratories, farm animals, companion animals, and wildlife. " $ 4 from the purchase of each charm will be donated to support the charity's mission. The charm is sterling, the paw print enamel and it comes with a keepsake charm card. The dog lover in me loves anything with a paw print and I've long been a supporter of several Humane Societies including lead volunteer for my local one. Of course it also helps me to keep my beloved Shasta outwardly, visibly close to my heart since I lost her this Summer. My nails are dry and peel easily. This despite not polishing them all the time and using hand cream. I love polished nails but it wreaks havoc on them. Sally Hansen's newest formula adds oil to the mix for nail color that is supposed to nourish nails. I am all for moisturizing my nails while polished. Seems like it might be hard to pull off so I put this to the test and came away pretty pleased with the formula. The polish takes 3 coats for really total coverage , but 2 can work. I went one day without top coat and got some quick tip wear, not unusual for me, but once I added top coat ( the brand's Miracle Gel) the color and wear lasted 4 days without any dings, at day 5 it started looking more wore at the tips . For me that's good wear time. My nails definitely felt less dry once it was removed and I've had no peeling after removal. My nails look in good shape, shiny and better than usual after polish removal. 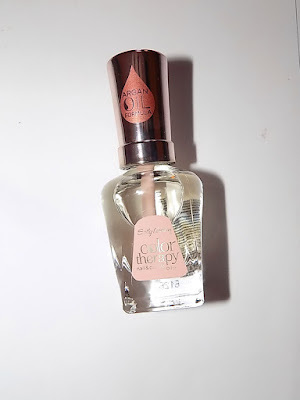 The brand says" Color Therapy nail polish contains a patented micro-delivery system that delivers an argan oil-enriched formula, resulting in intensive nourishment and instant moisture for healthier-looking nails. 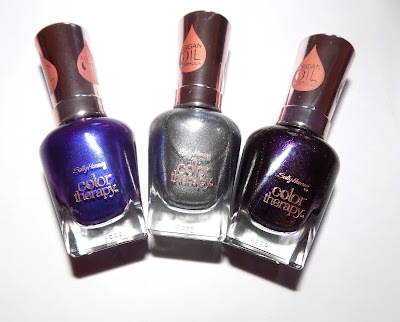 The Color Therapy nail polish needs no base coat so the oil complex can directly contact the bare nail." Color Therapy comes in a wide range of shades, along with top coat, base coat and a nail and cuticle oil that I am loving. The oil leaves a sheen on nails while also adding plenty of moisture. My nails seemed smoother after just a few uses. Drier nails just got a boost . Shades shown are : Indiglow, Slicks and Stones and Therapewter. 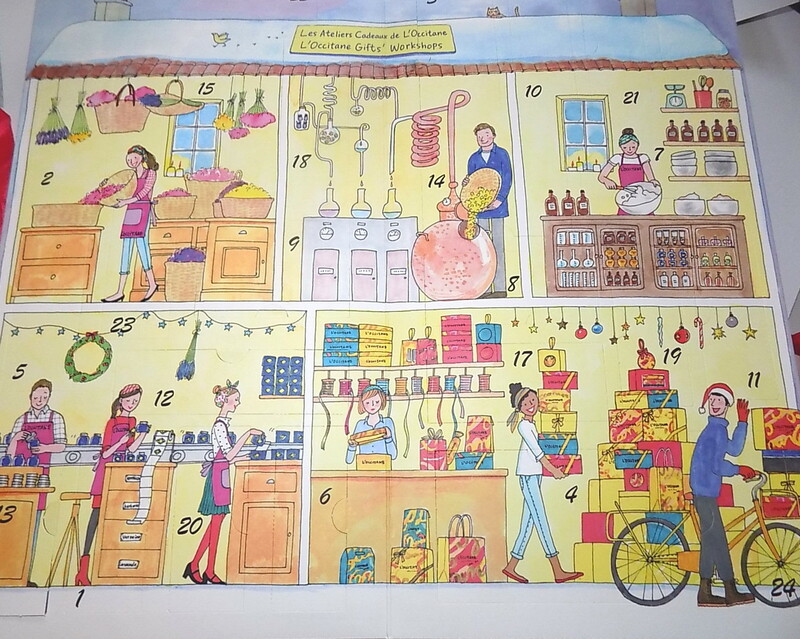 We talked earlier about L'Occitane's fab Advent Calendar. 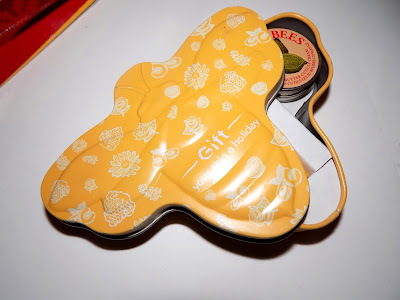 The brand also has a sleigh full of other great gifts. 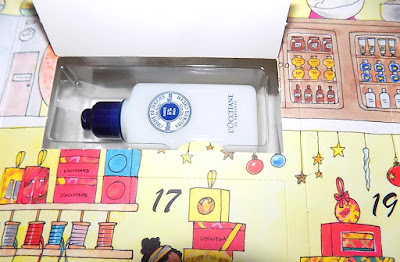 I firmly believe a gift of L'Occitane is one of the best to give. I have yet to meet someone who doesn't love their hand creams, especially. 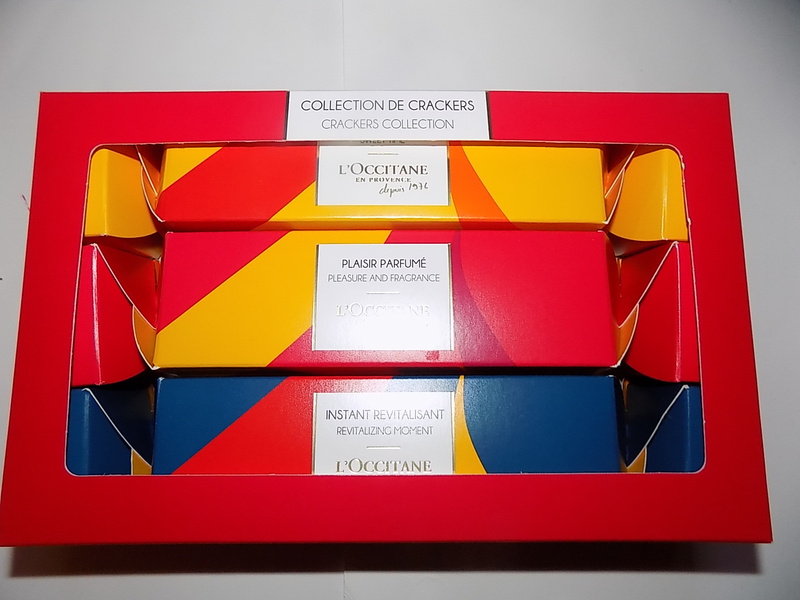 The Holiday Crackers Trio gift set has three holiday crackers filled with three mini products each all boxed up in red. 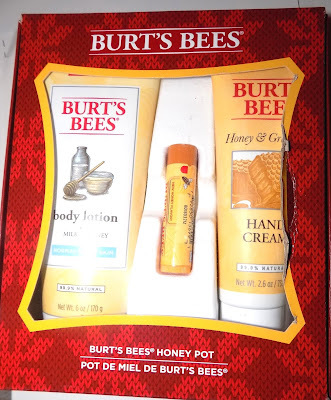 This is the kind of gift you can give as is, or break the set into three separate smaller gifts making each $ 9.33. 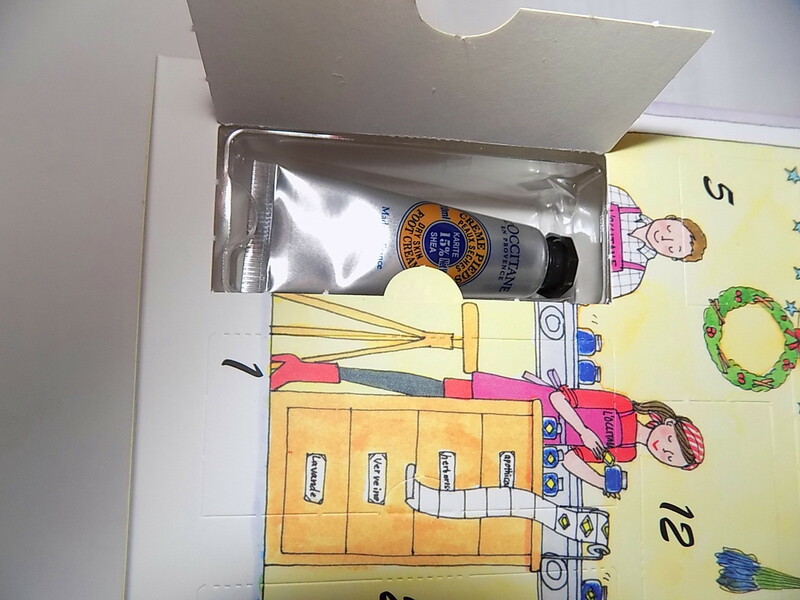 Each cracker has a bath cube, a shower gel and a hand cream . The scents are Cherry Blossom hand cream, shower gel and Peach bath cube in the Pleasures and Fragrance cracker. 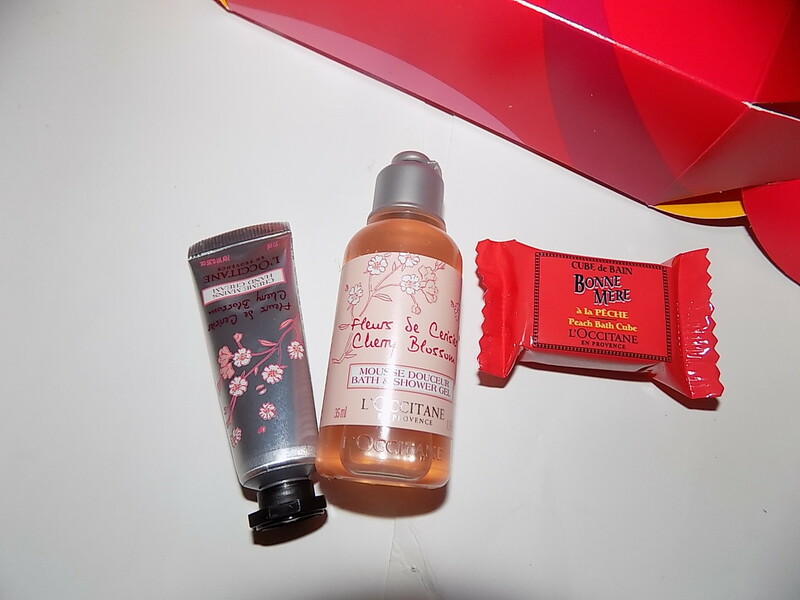 Shower oil , Almond hand cream , and Olive bath melt in Sweet Time and Relaxing shower gel, Lavender hand cream and Rosemary bath cube in Revitalizing Moment. 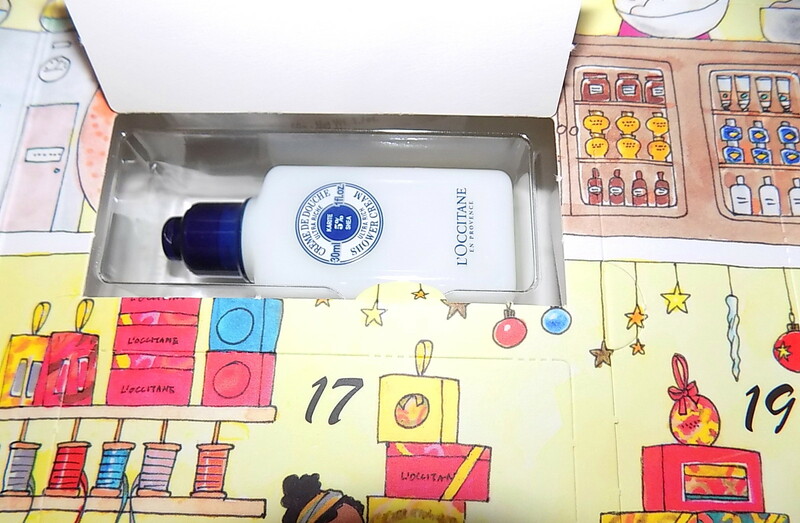 Cute little gifts are always fun to give and get and this little ornament from IT Cosmetics is no exception. 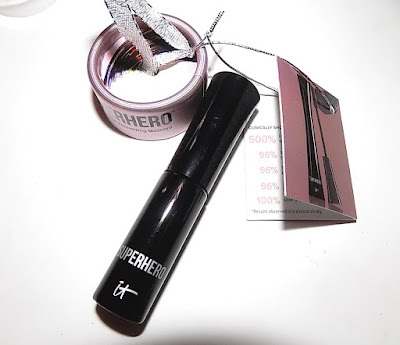 Containing a mini Superhero mascara you can hang it from a gift bag, attach to a gift card or tuck in a stocking. 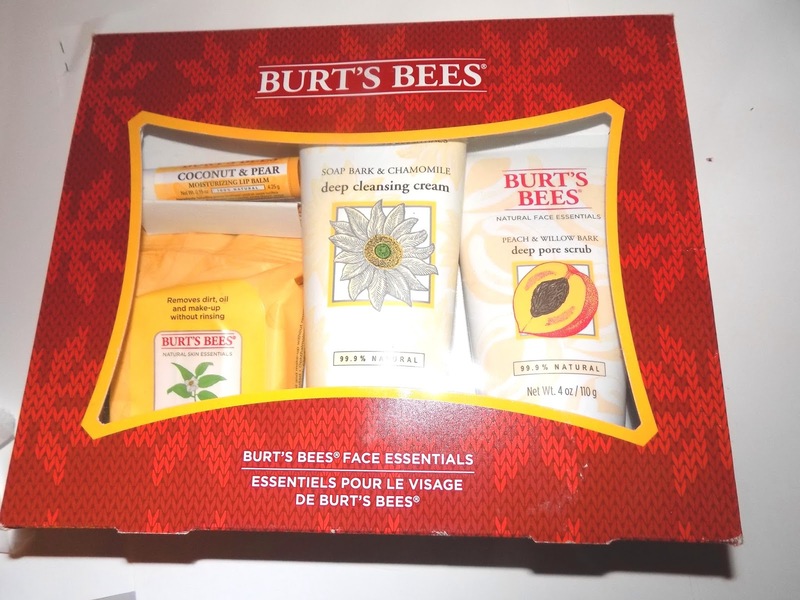 Also nice for the Secret Santa gifts . And at $ 12 it won't break the budget. 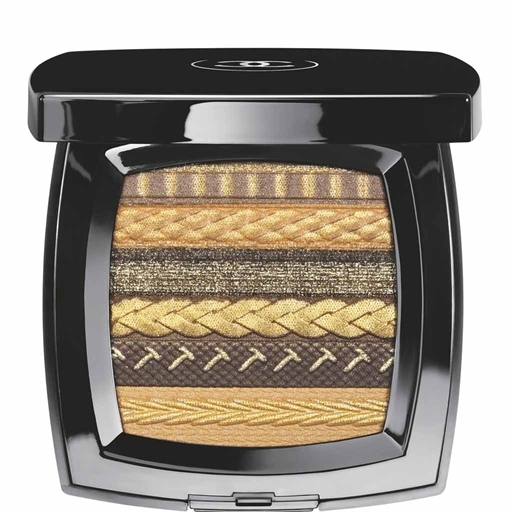 MAC Strobe Cream has always been a makeup artist staple and a makeup fan favorite too. I've had a tube forever. Now with the popularity of highlighting growin ,they've released some shade extenstions. Two of those new shades are Peachlite and Goldlite. 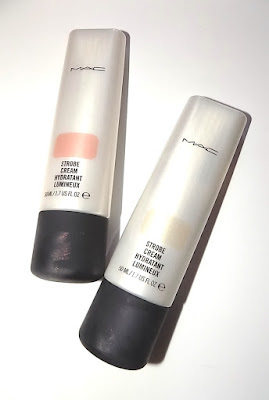 MAC's Strobe Creams are not in your face glitter charged highlighters. These create a soft glow with light iridescence. 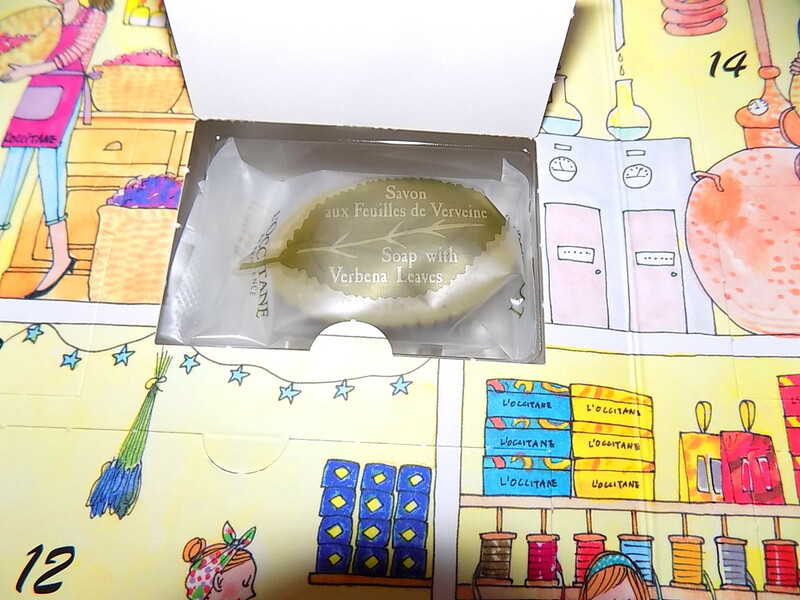 The cream has a light feel on skin and is easily blended. 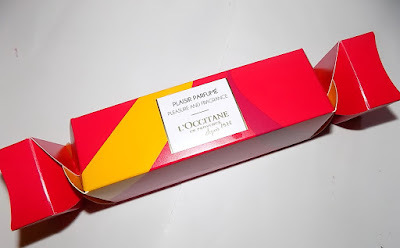 It can be used alone, under/over makeup or mixed into foundation or moisturizer. Peachlite goes on with a touch of warm peach tint , again very light in pigment, just enough to warm your skin up a bit. Goldlite gives skin a light golden touch. Both do a great job of brightening and highlighting. This can be used on body too of course. Decollete , legs . MAC Strobe Cream also comes in the original now called Pinklite, Silverlite and Redlite. 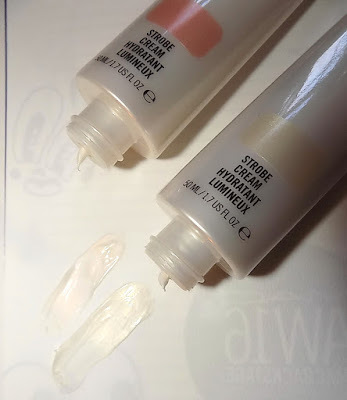 MAC Strobe Cream is $33 and online now. In stores Nov.10 in the permanent line. 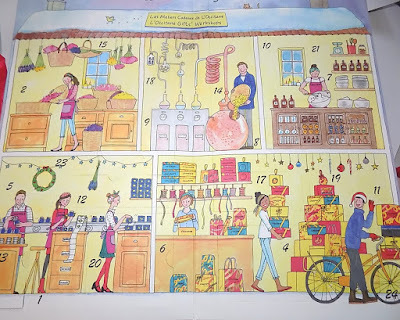 I loved last year's Advent Calendar and am so happy L'Occitane has brought it back again. I'm pretty sure this is easily one of the best gifts you could get or give. This year's set does away with the little novelties that made up some of the days last year- a bow, gift tags, glitter . And that's for the better. 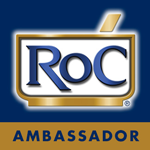 It means more products. You get a mini item in each window and they're all good. 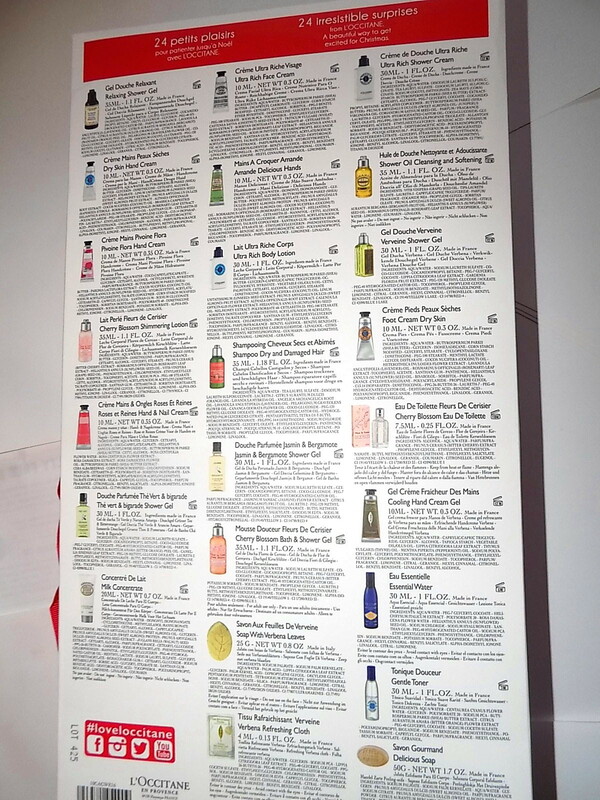 There is the brand's hand cream (best around) , soaps in verbena and almond , Cherry Blossom EDT , Gentle Toner , shower gels and more. Last year I gave many of the minis from my set to a cousin who is a traveling nurse and takes jobs in other states for weeks at a time. She is on the road a lot, and having ( luxe) little travel beauty essentials makes quick, light packing much easier. So for those who travel a lot, those who might want to sample some new items or who just love fun gifts, this fits the bill. Good for December birthdays too. 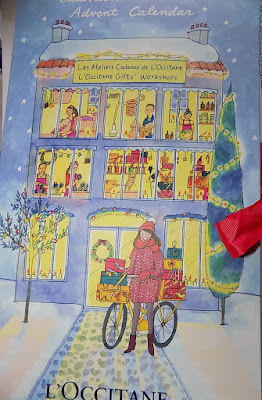 A gift a day. 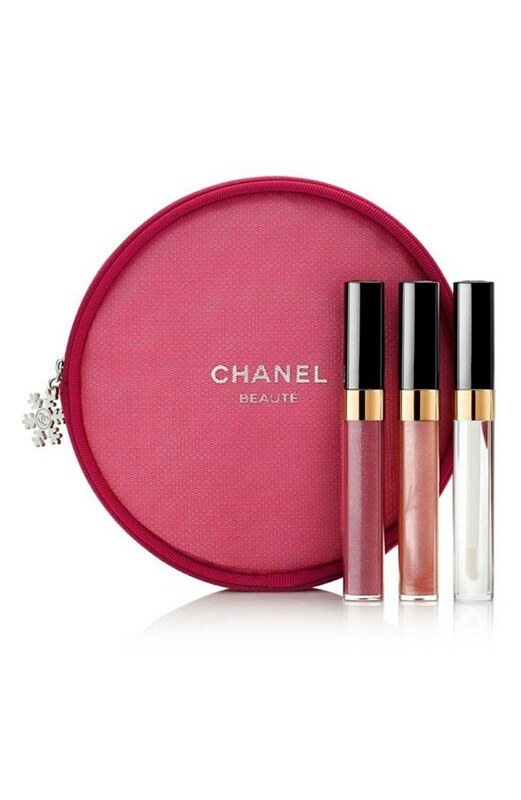 Gifts of Chanel are always a great pick and this little beauty recently turned up on Nordstrom.com. Give It Shine is a trio of the brand's Glossimers along with a round pink pouch with a snowflake zipper pull. So very Hiver and Joyeux Noel. The shades of lipgloss are Amour, Sweet Beige and Wild Rose. It's $92 and LE for Holiday. 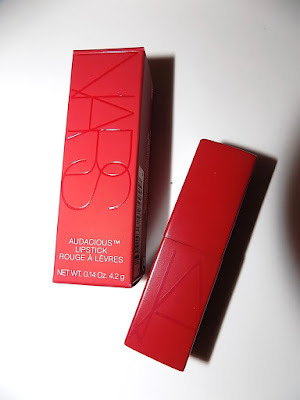 Everything comes up red for holiday including new special edition NARS packaging. 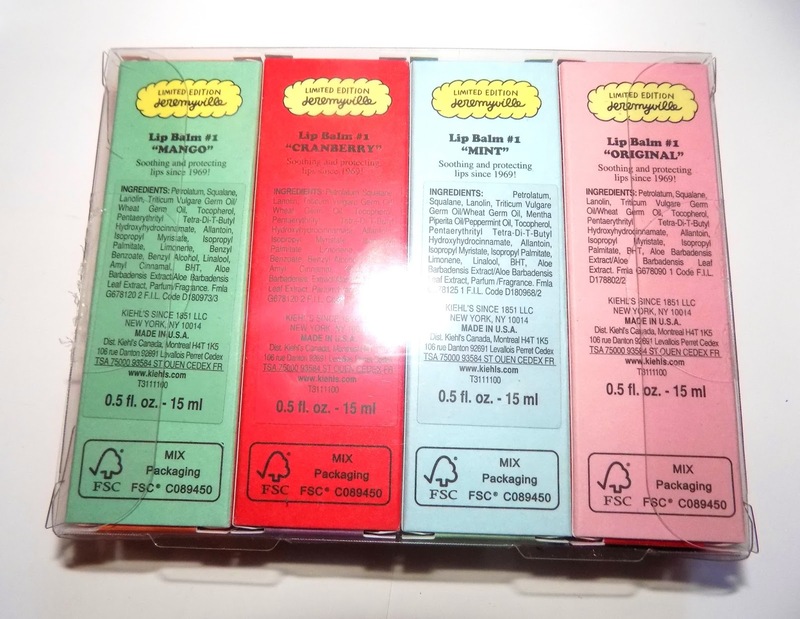 Rita , one of their fabulous formula Audacious Lipsticks now comes in a matching red case. Same magnetic closure, same square shape but in a festive new color . Yes it's perfect for stocking stuffing , gift card accompanying or adding to your own basket. 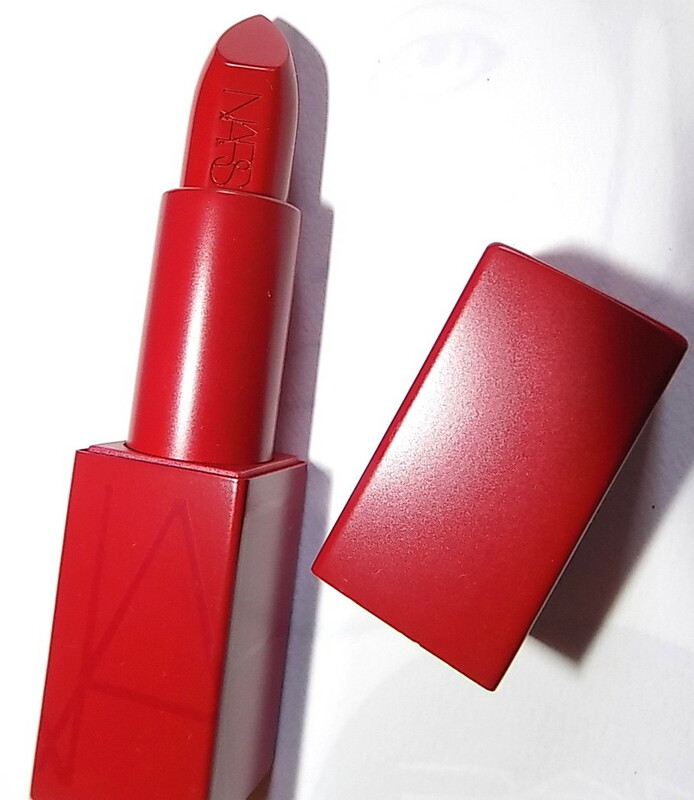 NARS Special Edition Rita Audacious Lipstick is LE and exclusive to Sephora for $ 32.